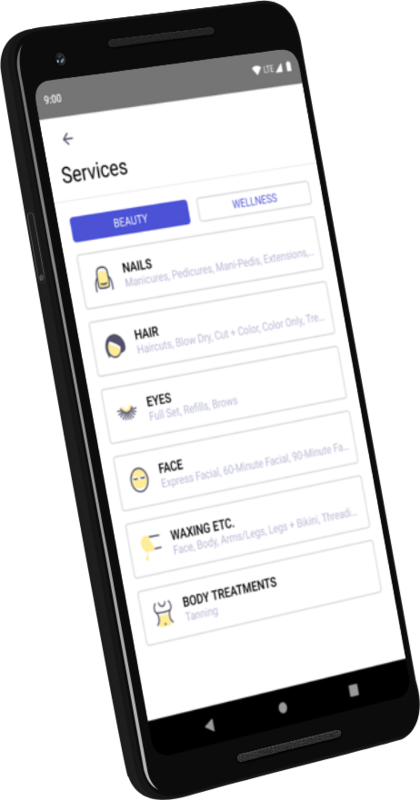 Your personal concierge to the best providers in beauty, wellness and more. Local services don’t have to be expensive or hard to choose. RSVMe helps you book appointments at a discount. When you’re flexible on time and location, RSVMe’s Concierge service can find you a great deal at a top quality provider. Get your nails done, touch up your roots, grab a massage, and much more! RSVMe offers hundreds of beauty and wellness services. Just set your location and price, then sit back while your RSVMe Concierge gets you booked. "All I had to do was download the app, and find a nail salon near me! All payment plus tip are done through the app, so it’s easy peasy!" "I recommend it to anyone who is looking for convenience in booking beauty services. More importantly, this app is for anyone that dislikes waiting around."